In this course you can learn about drop-substrate interactions during inkjet printing, including effects of inks, surfaces, fluid flows with particles, aerodynamics of drops, drying and curing, and assessment of print quality. The course is led by Dr Emma Talbot, Dr Stephen Hoath and Dr Cristina Rodriguez-Rivero of the University of Cambridge. Dr Talbot is a postdoctoral researcher at the University of Cambridge, UK. She received her PhD in Chemistry from Durham University in 2014 on drying inkjet droplets, with a focus on internal flows inside drying inkjet droplets and characterisation of the deposit structure. Since 2014 she has been a committee member for the IOP Printing and Graphics Science group. Dr Hoath is the senior research associate in the Inkjet Research Centre at the University of Cambridge, UK. He holds a doctorate in physics from the University of Oxford, UK and is a Chartered Engineer and Scientist, a Fellow of the Institute of Physics and of Wolfson College Cambridge, where he is Director of Studies for Engineering. 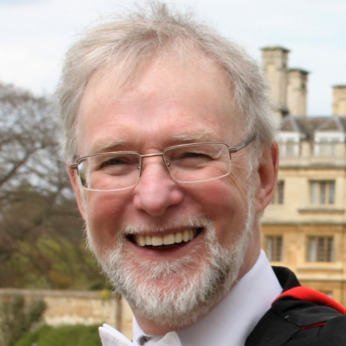 He edited “Fundamentals of inkjet printing” for Wiley-VCH, while his inkjet research has centred on high resolution high speed visualisation of jetting and also the interpretation and modelling of complex fluid behaviour involved. He is a member of the IEC TC119 WG3 for international (ISO) standards in inkjet measurements, currently as the project leader for accurate in-flight inkjet droplet volume determination by printed electronics equipment. Dr Rodriguez-Rivero received her MEng in Mechanical and Electrical Industrial Engineering in 2008 and her PhD in Chemical Engineering (Fluid dynamics, on micro-particle production using continuous jet breakup techniques for biomedical applications) in 2014 in Salamanca, Spain. After receiving her PhD she joined the Inkjet Research Centre at the University of Cambridge, UK, as a Research Associate, to study the aerodynamic effects in inkjet applications in order to understand the misplacement of ejected droplets. Her current research focuses on novel droplet technologies and instrumentation techniques for DoD and CIJ systems and on the study of fundamental fluid dynamics for the control of the formation of jets, droplets and filaments.